Life is too short to wait! As I sit in the garden of my friend’s house, the sun is shining, Rachmaninov is playing on my computer in the back ground, I look out to the sea and I finally write again. The sea is calm today and so am I. I have left for this journey not only to come closer to my self, to reflect upon my life and my doing, but also to finally write. In the last four weeks, ever since I arrived in Australia I had the hardest time to write. My writing was all over the place and it didn’t seem like I could bring order in to my thoughts. After Indonesia and my trip to the volcano I felt connected to my self like never before in my life. I could feel that I was coming closer and closer to the transformation that I aspired yet not completely achieved. Happy within my self but also with a feeling that was simmering deep down in side of me, which I couldn’t yet name exactly what it was, I arrived in Australia with mixed emotions. I remember staying on top of Gungung Agung and feel that my life will soon take a major turn not knowing how or in what way exactly. And it did! As time went by I finally found a feeling inside of me that I have been looking for since the age of fifteen. I didn’t even look for it anymore it simply was a result from my transformation and connection to my self. Day by day the feeling of missing ‘home’ grew stronger. I came to the point where I knew I want to go home to London and that I want to live there, regardless of another person, friends or family, but because I want to and for me it is my place of home. Never before in my life I have come to this point that I feel like going home. When I left I didn’t know for how long or where exactly I was going. All I knew was that I had to take the time to listen to my own voice. For that I had to be as far away as possible from my known environment. I had to leave my comfort zone to be able to confront my self with my past and my doing. My start in Australia was everything but rosy. 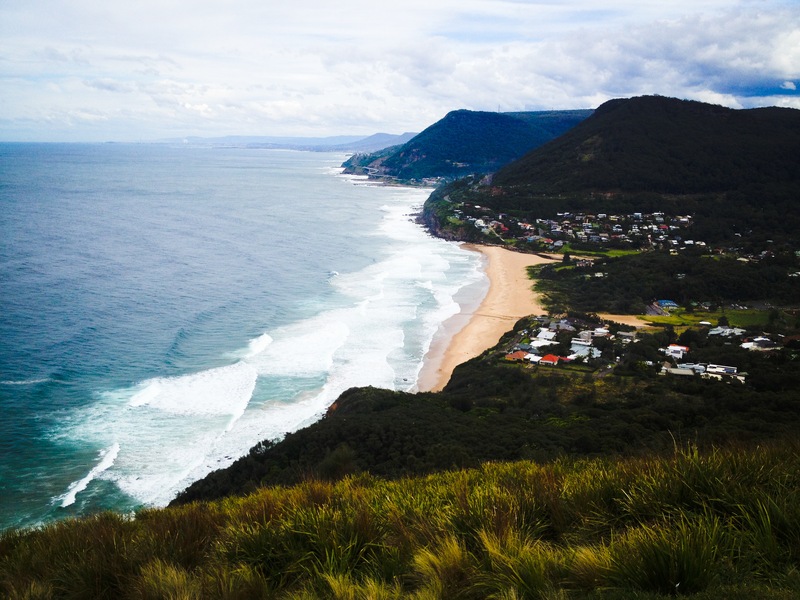 Stuck in a situation that I no longer defined as healthy for me, I went to stay at my friend’s house and found my self in a small place called Stanwell Park in NSW, a beautiful spot right at a beach and next to the national park. I could feel that my body and mind was exhausted from traveling and the reflections about my life. All I wanted was a break, but the interesting thing about going on a journey like this is, once you have opened that door to your self there is no turning back anymore. Your subconscious mind keeps working, if you like it or not. I am grateful for having reached that point where I can listen to my own voice and stay true to my self, regardless of how uncomfortable it can make you feel in certain moments. The days passed and my heart felt heavier and heavier. Surrounded by pure beauty of this country an amazing new friend and feeling happy I couldn’t help but notice this feeling of longing in my heart. I started to miss London every day more and more. Long walks along the empty beach with my friends dog just intensified this longing. The other day I was sitting in the train back from Sydney to Stanwell Park, when tears suddenly rolled down my cheeks. I was rather confused about my state of being since I have finally reached that level of being happy within my self regardless of the ‘where’ and with ‘whom’. But nevertheless, I am far more connected to my self that I therefore feel a new level of emotions that were hidden inside of me. I became aware of a feeling, a longing deep down in my heart for a very special person that I tried hard to neglect. Not only did I walk actively away from it and left London, I convinced my self that it is not true to the point that I started to believe it. I put my focus on purpose on something else. So I started to think about when do we ‘know’ that we really feel something and when do we ‘think’ that we feel something? Or is it the ‘think’ that leads to the ‘know’? As I looked out of the window and see the scenery pass me by I realised that the motion of the train helped me to bring motion in to my thoughts. I believe if you are really connected with your self and honest, a true connection will eventually come back around no matter how hard you try to neglect it or walk away from it. But we can certainly make our selves believe that we feel something to a certain degree. I for one went out on a loop on purpose from the first moment I left London. I wanted to find out what I feel, how I feel towards me and people. I pushed my self in to new unknown circumstances that helped me develop an even more heightened understanding of my emotions. Eventually I did come to the point where I was able to differentiate between the ‘think’ and the ‘know’. Looking back to all theses different emotions, I can say that I did feel all of them, but they might have just been right for a specific time to get to the more important one. I am grateful for all of them, then without the experience I wouldn’t have suddenly realized that I can be on the other side of the world and it is still not far enough. What I resisted the most ever since my father passed away four and a half years ago, and may be it was even before then as well but certainly since then, was to be able to have a true connection to another person. I often wondered why I kept going in a circle with my life and it was just recently that I realised that one of the reasons was that I resisted my true self. Therefore I kept attracting or putting my self in situations that were clearly not what I really wanted, but I made my self believe they could turn in to what I wanted. To a certain degree I fooled my self. I did not challenge my self nor was I honest. It was always very clear to me that I had one foot out the door the whole time. Only ever since I started to reflect on the ravages from my past and present and trying to detach my self from them to look for a deeper connection with my self I was able to understand that. A big thing these travels thought me, is patience, something that I would not have praised my self with in the past. But I learned to believe and trust again. And I started to trust in time and my transformation that the unconscious ‘me’ reveals what needs to be revealed at the right time. It is almost like a little bit of magic! Something the thirteen-year-old daughter of my friend reminded me of. For me the magic is in you and trusting yourself! Regardless of what others think of you, judge what you do or feel. If you are connected with yourself, you know what you feel and it is right at that time in your life. May be it is the land of the red sand and it’s magic who has let me come another step closer to my transformation, or the full moon that was shining bright that night when I walked out of the train. What better sign from the universe for a new beginning than a bright full moon. It was a bit before noon when I finally left the hostel and made my way to the train station. It was warm, humid and all the motorbikes on the street gave the city a sound to it as if it was a huge “honeybee farm”. At the train station I decided to buy an economic train ticket not because I wanted to spend less money but because I wanted to travel like everyone else. So I thought! As I was waiting on the platform I quickly had to realize that there is no chance I could understand which train is the one I am supposed to take. I turned around and asked the women next to me if she speaks English. With a very big smile she answered with a no! I took out my Lonely Planet and went all the way in the back to the very small phrasebook part. I mumbled a few broken Indonesian words: “Di mana kereta api Bogor? Jam berapa berangat?” The face of that woman lid up and she started to talk as if I understood every word. Not only Mary did, but also the man sitting next to her started to jump in and took great pleasure in talking to me. I tried to follow and flipped through the book as quickly as I could. Finally I got at least that the trains here don’t have different wagons with the different class it is an entire train that defines the class separation. Business class is faster and has air condition, plus the doors close. While on the other hand an economic class train has no air condition and the people sit and stand everywhere plus on top of each other and there are no doors. Mary pointed to the train that was like mine for another direction and said: This is you, you bought an economic class thicket. Are you sure you want to go on this train? I looked at the train, then back at her and then back at the train and mumbled out a very vague, yeah! Another business class train to Bogor arrived, by now it was the second and I couldn’t go on it. Mary got up because she had a Business class thicket, waved me goodbye and left with the train. As I watched the train disappear I realized that Mary is like everyone else here and despite me on the train to Bogor. I ran downstairs back to the thicket office and asked if I can change my thicket back. The man behind the window started to laugh when he saw me and handed me quickly the money back I spent and gave me a business class thicket, which I gladly paid. I ran back up and there it was my train to Bogor. I was finally after one hour and a half on the train. In the train I met Buriman, a cook who works 3 days a week in Bogor. So far I recognized that Indonesian people are very open and want to get to know you. He asked me the same questions I get asked all the time when I meet somebody here. Where are you from? Are you traveling alone? Are you married? I told him I am traveling alone and because I didn’t want to get back in to the conversation of why I am not married I invented a husband. I came up with a whole story. Where he is and what he works and why we are not together on this journey. I did feel a bit bad but I couldn’t bare that look again as if I am damaged goods or something. After that story he was pleased and told me he would make sure I would get to the bus station in Bogor so no one would rip me off with the ticket. I was really happy for his help and I quickly followed his lead once we arrived. We jumped in one of these ankot buses. They are quite small and always have one direction. So you can hop on and then once you want to get off you just tell the driver, pay him and jump out. I really like that system, how practical is that! In the ankot Buriman asked me if I had lunch or if I was thirsty. I could use something to drink, I thought. A bit worried to say yes I trusted my cut and said: “Yes why not. I am very thirsty!” He smiled stopped and paid the bus and we jumped out. At the restaurant he offered me a coke and I drunk it as if I passed the Sahara. Soon we went our way, with his friend joining us because apparently he knew more about the buses to Pelabuhan Ratu. Once we left to the next ankot we walked towards a bus station that looked rather shady. I saw nowhere even one backpacker or tourist. But I wanted to get to Cimaja and so I went along with my two new friends. Finally we found the Bus and there was also Andrew who was in charge of the bus. A very skinny local who had an extremely long and strange nail on his left pinkie. Buriman made sure I had not to pay too much and that Andrew would make sure I get to the right bus to get to Cimaja in Pelabuhan Ratu. I thought it was so adorable how they took care of me I couldn’t believe it. After a quick photo session, they left and I went on the bus. Turned out I was the only person on that bus so far. So I waited a while to see if there are more people coming or if we would leave soon. After a while finally some people came and I asked someone when the bus would leave. They answered with the head tipping to the side: “In have an hour.” OK, I thought, that is perfect. After a have an hour we didn’t leave and so I asked again. “In have an hour”, said Andrew. I didn’t say anything and thought you can’t change it Sarah you might as well go with the flow. Another have an hour later we still haven’t left and once I asked again he said: “We are just waiting till the bus is full!” Fantastic! I feared to be sitting at this bus station till the next day. But out of the blue suddenly people ran in that bus and we were ready to leave! The drive was nothing like I expected. The roads were so small and so terrible. Sometimes the wholes were so deep I flew through the whole bus. But here and there suddenly someone jumped on the bus and sold fruits or something to drink and then jumped back out. That was so great even the food was coming to you! It started to rain and the ride was long and slow due to traffic. I had enough time to look out the window and let my thoughts go. Suddenly I had to think of John and how crazy this whole thing was. I realized that I literally took a plane and a train to go see a man I barely know to spend with him an evening!! That is not nothing I would say! It was getting dark outside and I started to feel a bit lost in the middle of nowhere in West Java in that bus, in which no one really spoke my language. What was I actually expecting from John? Was I fooling my self by pure romanticism that this was supposed to evoke a reaction out of him? There it was my first movie moment that I was talking about in the beginning and not like in a big picture but rather very much like ordinary life it is not as romantic or dramatic. There is no one running across the big screen because he just had an epiphany moment when he realised that he actually does like you. Fact is when I met John I was attracted to his energy. It was so positive and full of life. The way he talked about his travels and surfing involved so much passion, that I wanted to find more out about it my self. In a way I guess, I should thank him. Because I could have also been jealous and negative about the whole thing since I was working almost everyday in rainy London. It pushed me in a way and here I am today traveling alone through Indonesia, getting to know an entire new culture, country and beautiful people. I am finally surfing and writing. Happier than ever I’m doing everything I love. So I guess I don’t have to expect anything from John. I want to thank him. Even if I will never see him again, and I hope that wont happen, I will never forget him. I started to listen to upbeat music that put me in a sunny, shiny and happy mood. And it worked! If you would have asked me 5 month ago if I think I would be here in Indonesia, I would have probably said no. Everyday I learn new things about my self. Like for example that I can be patient. I learned that through the bus rides here in Indo. You never really know how long they are going to be and take once you are on them and since I don’t have to be anywhere at a specific time I learned to just – sit! It can happen that your thoughts wander off in to the negative when you sit in a bus for 12 hours.And I think that is absolutely O.K. The one thing I learned in these moment was, do I want them or not! No, I don’t know what John feels and if it evoked anything. In the end if we are meant to meet again we will. It would be absolutely fantastic, but until then all I can do is trust, believe and be patient! Those three words: Trust, believe and patience, are big words that we sometimes underestimate. I think if you can manage to really truly live them in everything in your life, you will eventually get what you want. You must only know what you want! Finally in Pelbuhan Ratu I was lucky enough that Andrew told his driver that they were going to drop me off directly at my hostel in Cimaja. Thankful that he held his word I sat in the front with them and they started to smoke. Never in my life have I seen people smoke so much like the Indonesian men. Twenty minutes later we reached Leo’s little paradise and I was finally in Cimaja. I was on my way from Nice towards the Golf of Juan-les-Pins and my train was 10 minutes away from its final destination when I still didn’t know if John really will be there and at what time. His location kept changing the last to days that I probably know every hostel along the Cote d’Azur now. So there I was sitting in the train towards the Golf of Juan-les-Pins, with no clue where I would be sleeping or meet him. I have to admit that it was exciting! Knowing that I will be leaving for Indonesia on Monday, put me in a state of absolute calmness. Nevertheless, I was getting more nervous by the second. I kept thinking I should have expectations of how this evening is going to turn out, but the only one I had, was that I would actually get to see him in person. That was it! And No matter how it would turn out, I will be leaving for my trip and that took away all those reasons or facts that we start to build up in our self through the years from experiences we made and we eventually end up having those expectations. If you are 21 you definitely look for something else in a man than when you are 29. So it often happens that you judge too early when meeting someone or you immediately put them in a box. You don’t allow your self to simply find out if you connect with that person. In a way it was the best feeling to have if you are in a situation like this. Because it allowed me to be absolutely open to the moment. I was one stop before the one I was getting off when I finally got a message that he will be there in 10 minutes. Suddenly this whole adventure became really real. Until now I could still use the “what if” and as we all know, it is a beautiful safe term that we all love so much because we are too scared of the real moment where we can’t hide anymore. Thoughts started to rush through my mind in an extremely fast speed. And there it was, the “what if”, but in a more negative way. It dominated every thought of mine. What if I don’t feel that connection at all anymore? What if I get really bored? What if I make an absolute fool out of my self? What if…and then I stopped! No, I came here because I didn’t want to leave for Indonesia and regret not finding out, not taking the risk, not be living the moment. I didn’t want to have to say; “What if I would have gone toward his direction first?” Right there in that moment that smile was back on my face and I was so happy knowing what ever will happen is supposed to happen. As I walked towards him it felt a bit unreal. I met this man one time before in my life and there I was flying to South of France just because I thought that there is something about him that really interests me! It was obvious that we were both very nervous. The area at the port of the Golf of Juan-les-Pins is very cute and rather small, but there was a small French bar where we had a Pastis to start of. Pastis is my favorite drink and on top of everything being in South France and drinking a glass of Pastis sitting across from John, I already got all I expected. I really enjoyed the whole evening and I was more than positively surprised by him. Because I knew that this is it and we are both going our separate ways from here again I didn’t feel any pressure on my self to impress him or be someone I am not. I also didn’t have any expectations from him. It gave the whole evening a very relaxed feeling. Even though he mentioned a couple of times that he had this night planed out differently, I didn’t mind at all. I thought it was perfect! As we said goodbye there was a part of me who wanted him to stay. Yes, it was too short in a way, but may be this was even better that it was unexpected and not going as planed. Because I believe in a way it also showed a true color of both of us. I did tell him to come find me in Indonesia and how exciting would that be?! With a smile and grateful, I walked back to the apartment which some friends of his rented and enjoyed the rest of the evening there. And how do you say: The third time is the charm! The next day I got up after a fun night and thankful for that I was able to sleep there, I went for a coffee with a french croissant in the sun. I could feel how my skin was so happy to feel finally the sun. I thought about last night and how I was scared to lose my balance. All sorts of different emotions were coming up and so I decided to walk from Juan-les-Pins to the Cap d’Antibes and all the way along the coast to Antibes. I didn’t really know how far it was or how long it will take me to get there. But with good hope and the map seen before and now in my head I reckoned that I will have enough time to enjoy that walk before I will have to hop on the train back to Nice. It was so beautiful and I can only recommend on doing this. It is a bit of a walk but absolutely worth it. The sun was shining, I was in my Flip Flops and just happy! At the cape I went all the way to the last cliff and stood on top of it, feeling the breeze of the wind, looking in to the small but beautiful blue waves that were clashing on the cliffs. No, I didn’t loose my balance at all. I was feeling so content at this very moment and even more ready for Indonesia. Once I arrived in Antibes I still had enough time and I was getting a bit hungry. There were small kiosks with food along the beach and smaller bistros that definitely would have fit more my budget, but all the way in the front I saw this beautiful fancy restaurant and I decided to do something I have never done before like this in my life. I never went to a nice restaurant by my self. The host welcomed me very polite and asked if I am looking for a table for two. With a big smile I replied: No just for me! There was a brief moment I did feel a bit awkward because most guests were definitely from a different society but nevertheless I decided to treat my self. I enjoyed my octopus salad with a glass of rosé in the sun, the ocean a meter next to me and in front the view of beautiful boats and yachts. I indulged every bite and every sip and did not distract my self with my mobile or any technology. The waiter was so lovely and courteous and made this whole experience even better. It was an amazing feeling that I had once I left and made my way towards the train station. Back in Basel not even the rain or the cold temperature could change my mood. I was feeling great and this trip was more than worth it!! In Bern I went back to the place I used to work and was welcomed so warm and with so much love that I was a bit overwhelmed. I had a fantastic last night in Bern with my best friend and one day left that I will happily spend with my friend who is turning 30. Excited and getting nervous but in e very good way I can’t wait to finally get to Indonesia. Now there is only one quest left before I leave and that is packing my backpack. I have decided what my next big destination will be – Indonesia! I did figure out where I want to go next through one of my meditations sessions. 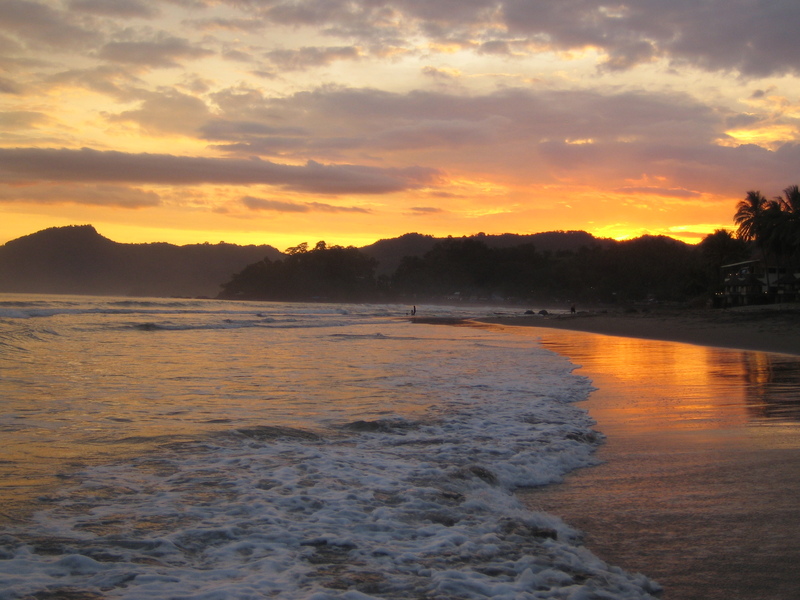 Once I came out of it I really loved the idea of flying to Jakarta and travel inland and along the coast to Bali! I got really excited about this journey but I also thought about going towards John. I caught my self loosing my confidence about going towards France first. I did find my balance through the last months and feared, that if I go there I might loose it again?! Putting away that thought, I hopped on the train early in the morning towards Zurich. I worked in Zurich for three days. Like I said in my first post, I want to work along my journey also things I have never done before. In these three days I was supposed to work in promotion, and I have done that many times before, but on the second day something with the giveaways went wrong and suddenly I had to jump in as a personal shopper for Chinese customers at this house of brands that I was working at. So there I was with these Chinese Ladies trying to make my sudden new job right, as I was confronted with cultural differences. I had to get used to the fact that they are treating employees very different and not very respectful. I have heard of this before but I didn’t want to believe that all of them are like this. So I decided to be respectful and tried to show them that we are equals. As I lost most of my clients in this big shopping center, I ended up with one woman alone. In the beginning she literally made me run from one rack to the other. And I cursed Ralph Lauren for not making smaller skirts! I got a bit frustrated with the whole situation and still I didn’t want to believe that this is going to end like this. So I started to ask her all kinds of questions about her travels and her plans. As she started to talk about it she became a lot softer. I even believe that she wasn’t aware of what was happening, but on our way to the wine store we were two women talking together normally and friendly. I tried to tell her something about wine ( of which I have not that much knowledge) and we talked so much that I forgot to tell the cashier that she has a 15% discount. The whole thing ended in me running around the whole building to get her money back and be fast enough so she wouldn’t miss her connecting train. Sweaty and out of breath I didn’t mind, because she proved to me that she left her box that she was put in. I really appreciated this new experience and it shows me that we all have this potential of change. Later I went to my friend Nyima’s house. I stayed with her during this time and she is one of the warmest and most giving hosts I have encountered in my life! One of my dearest friends, Martina, joined us for dinner and over fish, asparagus and salad we spent a lovely evening together talking about life and traveling. Nyima has been traveling alone as well and this at a much younger age than me. 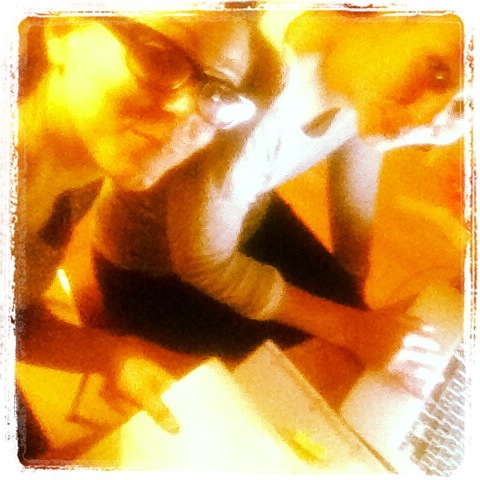 She has not only made a similar experience but she’s awesome at something I am not at all – planing!! On the first night at her house I slightly became anxious because I had no clue were I would go first once I will arrive in Jakarta. Reading a bit about Jakarta it is not the most beautiful city that you want to spend too much time in. I was hoping that Nyima would give me some tips and may be helping me out with planing the start a bit. She must have read my mind or sensed my wish, because it didn’t take her long to offer me her help. I was so grateful and could tell that she got excited because she loves doing this. emptiness, hurt, or sadness. It’s not about giving in or giving up. experiences that made you laugh, made you cry, and made you grow. realizing that the heart can sometimes be the most potent remedy. To let go is to open a door, and to clear a path and set yourself free. I thought about it and came to the conclusion that my fear of loosing my balance is again my fear of loosing control. This journey is supposed to be about listening to my heart and doing what feels right in that moment. I realized I had to let go. I didn’t have to dig deep to know that I do want to see him before I go to Indonesia. All the reasons I gave my self for not going were far more excuses. Life is too short to wait – I picked up my phone and asked him where he will be on the following Thursday! And it looks like I might be going for a short trip to France. We’ll see…I have one week left till I leave for Indonesia and I am excited to see what will happen till then! 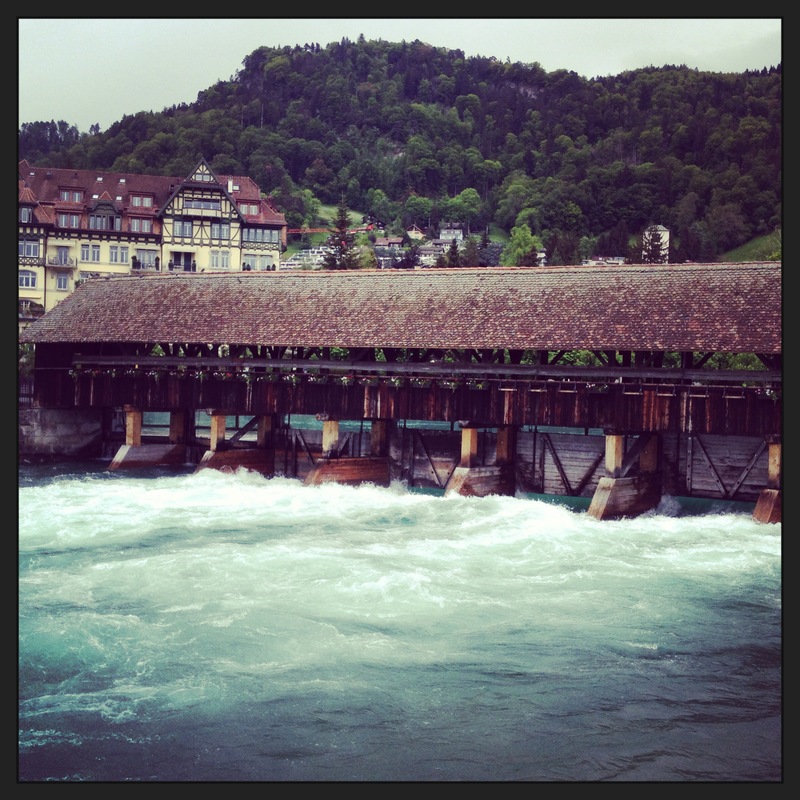 As I reached Thun on my way back from Zurich I couldn’t believe my eyes. It is the end of May, officially summer, and there I looked out the window and saw snow on the hills over Thun! But if you ever go to Thun, I would recommend it in the “normal” summer, it is a lovely town with lots of “charm” and a beautiful lake with an amazing view over the mountain range. As I’m sitting in the TGV and looking out the window I start to think about my last week in London. The whole week was just beautiful. I must say as the flowers slowly (even if it is a bit late for my taste) start to peek out of the ground with their beauty, London became more and more exciting. You find a lot more markets outside with fresh food. Yesterday I even came a cross a baker who sold fresh “Challa” (which is a Jewish bread)! It looked so yummy, and I love fresh Challa, that I bought a big one for everyone at the house that I was staying at. It got finally a bit warmer and cycling becomes more fun. It felt like the whole city woke up from the “winter-sleep”. I think about my final audition at RADA and how glad I am that I didn’t chicken out! It was a great experience and I haven’t sweated so much in a long time. The next day I was sore on every inch on my body. It reminded me why I love my profession so much. The theater does simply have something magical! Somewhere on the way this magic just disappeared a bit and for that I also want to go on this journey. I will know in June if I got in or not, and till then I have time to find out what I would do if I get in. In a way it made me think of when I started with my studies thirteen years ago in Paris. I am grateful for it, because it reminded me of that person who had something to say. Why I wanted to work in the theater. For me it was never about becoming a famous actress, but through the years it became a “job” and society puts that believe on you that you have to move up that ladder otherwise you failed. The pressure from outside, this expectation that I have to “make it” robed my creativity and killed that dream of that girl who had something to say. I let others take the magic away. That day I found a spark! How I said goodbye to my dear friend Ikuyo, whom I miss already. As she said goodbye to me she started to tear up and of course as a result of that, so did I. In that moment I finally realized what I am about to do and I got suddenly scared like hell. I kept thinking; What am I doing? I have not thought this through! Where am I going? I know that I will go eventually to Bali, but I have not even thought that through and right there I realized that I am leaving for the first time my comfort zone. It is an interesting thing this comfort zone. Even when we think we are leaving it, we trick our self’s and we keep sailing in known waters. To really go out in to the blue is a different feeling. Of course this is for everyone something else. As for me, this is it! I have never just left without a plan. As liberating as it is, it is very scary! You could say I always was in control of everything I would do. Giving up that control suddenly opens up all these possibilities. Suddenly life seems to be full of different colors and I can paint my picture the way I want and feel. I am so grateful for that I keep getting in touch with my self and start to listen to what I want and really feel. The closer the train gets to Switzerland the more I feel that I don’t want to stay there long. I am so happy to see my mother, family and friends but it also represents one part of that comfort zone and I do not want to fall back in to it. As much as I love my family and my friends I also believe that sometimes you have to cut yourself loose from them so you can find your true self and find out what YOU want. Some people don’t understand why I am living my life the way I am. I have no security or a career plan. I am single and only intend on changing this for the right person. If people would force their opinion about “how or what I should be doing” on me, I would many times end up making decisions that would not really make me happy, but I would think that way they are happy with me! If I please them they will be satisfied, happy, shut up and love me! I had to turn 29 to finally wake up and realize that it is my life and I only have that one! So why waste my time pleasing everyone else but me? I finally understood that I have to love myself first! What an amazing sentence! It incorporates not only gratitude but you also state again that you stay true to yourself. 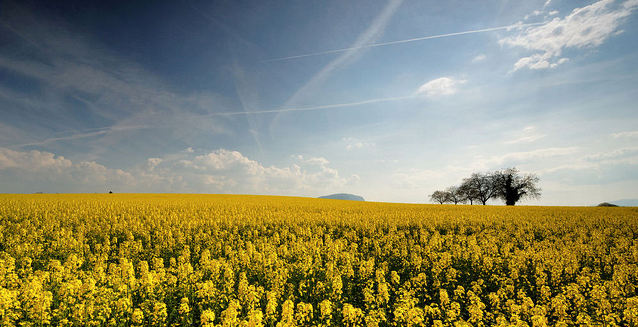 I look out the window and see large fields of rapeseed flowers. The bright yellow is popping out of the green. It looks vivid and full of life. With a smile on my face I am ready to start this journey! Yesterday I went to Denmark street and sold my guitar. My beautiful acoustic Washburn! I already went the day before and as I was walking in the rain (This has become a normal condition for me here in London, and still not loving it! ), I kept walking circles around that shop where I was going to sell my guitar. And as I was walking I kept coming up with new reasons why I shouldn’t sell my guitar. The longer I took the more reasonable they seemed. Finally I went in to the shop and asked if they want to buy my guitar. Now the funny thing is, I went in to sell my guitar, but the first thing I said was: “I don’t really want to sell my guitar!” It turned out that they had now cash and I needed to come back the next day. So I walked out and kept walking. I rented one of these Barclays bikes and went home. As I was riding home it dawned on me that this is exactly my problem! I want to do something but what I say is something completely different. The actions contradict each other and then we are surprised by the unpleasant outcome. But how should the result be what we want, if we don’t do what we want? Or we fool our self in believing that this is what we want. Well me personally, I think we often confuse the “want” with “should”! And so there I was on the bike realizing this, and I asked my self do I want to sell my guitar or should I sell my guitar because I can use the money? Of course I can use the money but is this why I am doing it, or can I go on my journey without the money I will get for my guitar? And the answer is – yes, I will go on this journey anyway! I want to sell it because I want someone else to enjoy my guitar because I don’t want to take it on my trip! As soon as I said it out loud and truthfully meant it, all these excuses vanished. The next day I took the bike again and went straight to the shop. I was grateful for the offer that they made me and I left with a smile. As simply as this realisation with my guitar I think that this is one of the main issues in our society. We live in a generation that lives for the moment. We are addicted to living it to its highest potential. And still we manage to be so unhappy! Now why is that? I believe it is because we are not honest to our self’s! If we would really ask what we want and then also do the things to get want we want, no matter how scary it is, no matter how silly we might look, we would be a lot more content with who we are and therefore even more happy! I really enjoyed my ride back home. And I started to see things I wasn’t aware. London is a great city and absolutely worth traveling to! If you do, rent one of these bikes. London is a lot smaller when you go by bike and you can explore it a lot more independently. There are many parks that are so lovely. You can make a stop and eat an ice cream from one of these ice cream buses or you can go through the busiest street and people seem to be totally ok with you riding on a bike. Which I think, is a great attitude from the Londoners. 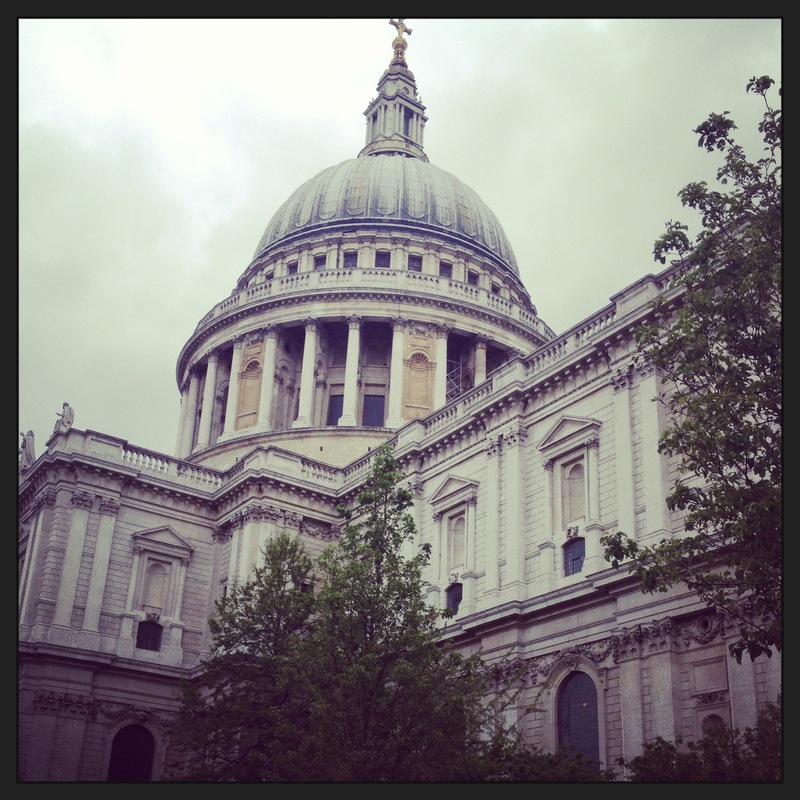 Here a picture of the famous St. Pauls Cathedral that I passed on my way back. I decided to do it! I gave my one week notice last week and bought a one way ticket to the first destination. On the 19th of May I will be jumping on a train from London to Paris and from Paris to Bern. I promised my mother I will come fix her terrace first, since she of course came up with all sorts of things that need help around the house so I will stop at hers first. I love my mother with all of my heart and absolutely understand where she is coming from. And I can’t wait to finally hug her again! As for my audition at RADA – I have 3 more days to study and get rid of my horrible flu that I caught. At the moment I have a voice that is the deeper version of Brigitte Bardot! So let’s drink some lavender tea and hope that it will stop raining for a change. The closer my leaving date comes the more scared I get. But I guess it is a good thing to be scared a little. I do have to admit that there are moments where I am asking my self: “What are you doing Sarah?” But then I have suddenly a smile on my face and my answer is always the same; “I am going on a journey.” Every time it calms me down because it doesn’t imply in any way how this is supposed to be turning out. I am giving my self the liberty of living in the moment. Scary? – Yes! Exciting? – Absolutely! I have heard from quite a lot of people in the last week that they wish they could do something like this too. Every time I said; “You can!” I hope that may be this blog can inspire some people to do what they want to do. No matter how scary it is or how unrealistic. And that they get inspired like I did when I hear from people who did something like this. I wrote to John that I will be soon starting my journey and that I have been thinking about him and thought about what could be. So I told him that I have been thinking about going towards his direction first. If he wants to spend some time with me and see what this could be and if not, he could just tell me. I don’t mind. The response was surprising to me because a little part in me thought that he might think I am a bit crazy. But instead he said that it would be great to see me again. It is just a bit tricky because he will be working on a Yacht soon and therefore not always at the same place. For a whole week I was on a high from my decision and that response. But as always that doesn’t last forever. And as soon as there was no response after a second message I started to question my whole idea. “What am I doing?” – “I am going on a journey!” And there it was again, that smile on my face and in my heart. I am doing this for me and not for anyone else. So what could I loose? Nothing! I don’t know why I know it, but I am pretty sure I will see him again soon. And till then I will enjoy my journey with all that comes with it.